18th century stays: The Eyes Have it! Wow! This is fascinating! It's high time we started looking at more costume pieces in such detail. Thanks for sharing your discoveries, and I'm looking forward to the thread comparison post! 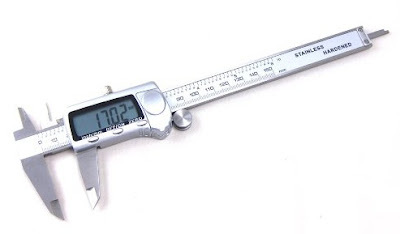 I want a micrometer calibrated finely enough to measure thread diameters! I purchased on of those cheap ones because it did fractions, and so I wouldn't have to keep borrowing my husbands much more expensive pair. 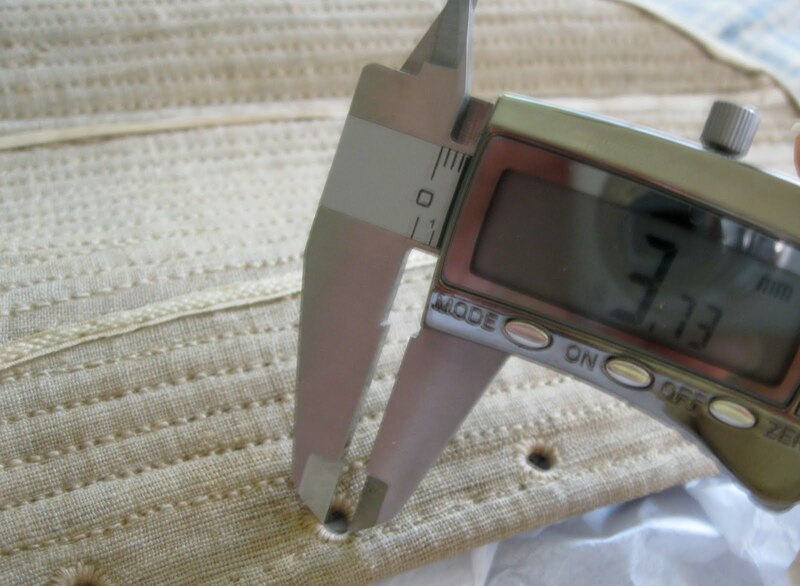 They came in handy when I measured the bone/ivory eyelets on my 1820-40's stays, though I bought them for the 1869 skeleton corset busk project. Huh funny I have only used mine in relation to the study of original corsets! I've been looking all over for this information! 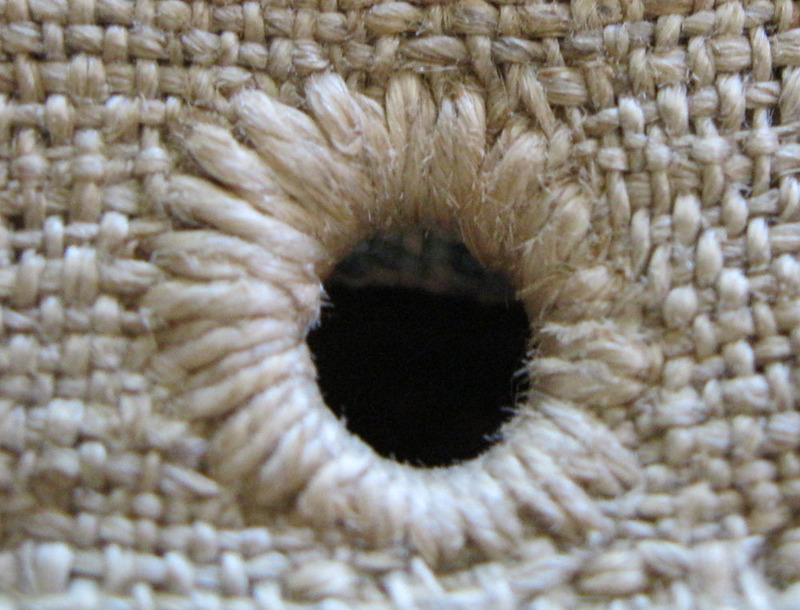 Was the same thread used for the boning casings as the eyelets do you think? It looks like it may have been from the photo, but I can't tell. 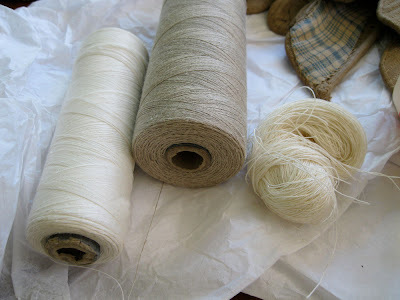 I have a spool of 16/2 unbleached linen thread from Wm. Booth's that I thought of using for my stays but I was worried it was too thick...from this post, I'm thinking it might be just about spot on. Have you taken thread measurments on any other extent 18th century stays for comparison? I love this tool. I've had one for years, for woodworking. They are very versatile. I had to laugh when my expensive one from the hardware store broke (My son tried to use it as a screwdriver. ), I grabbed his toy micrometer which came in a set of "Home Depot" toy tools, it was more accurate than the one I had been using. I suggest storing the tool with a packet of dissecant. My original tool had lost it's accuracy because of very fine rust spots.